Would you like a pair of Roman sandals made of Christmas lights with a Christmas globe instead of a high heel? Or, you’d rather walk down the street in a pair of boots wrapped up in a newspaper? Or maybe some flat sandals made of raw meat would fit your better? 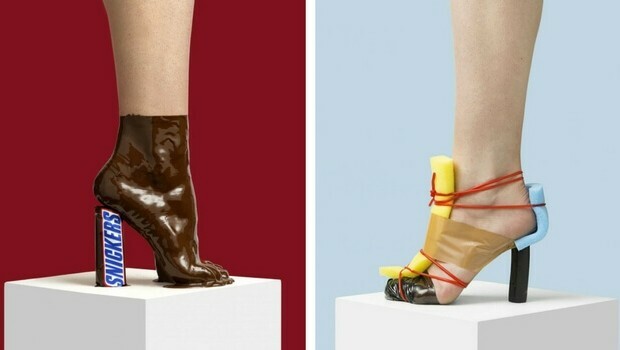 If you are more on the sophisticated side, we recommend a pair of high heels sandals made of rope, some duct tape, some sponge and some pieces of plastic, all of these in different colours. 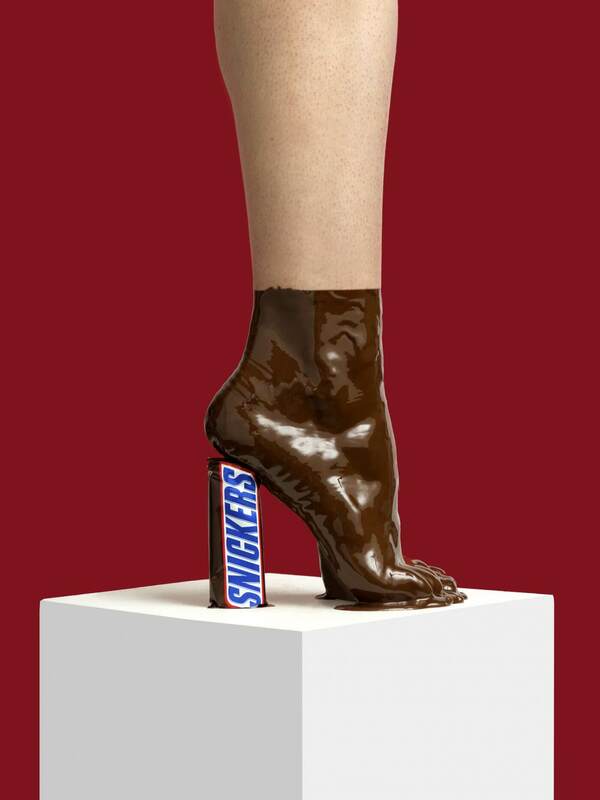 If you think you could use a little extra sweetness, you can try a pair of high heels shoes made of chocolate, Snickers kind of chocolate. 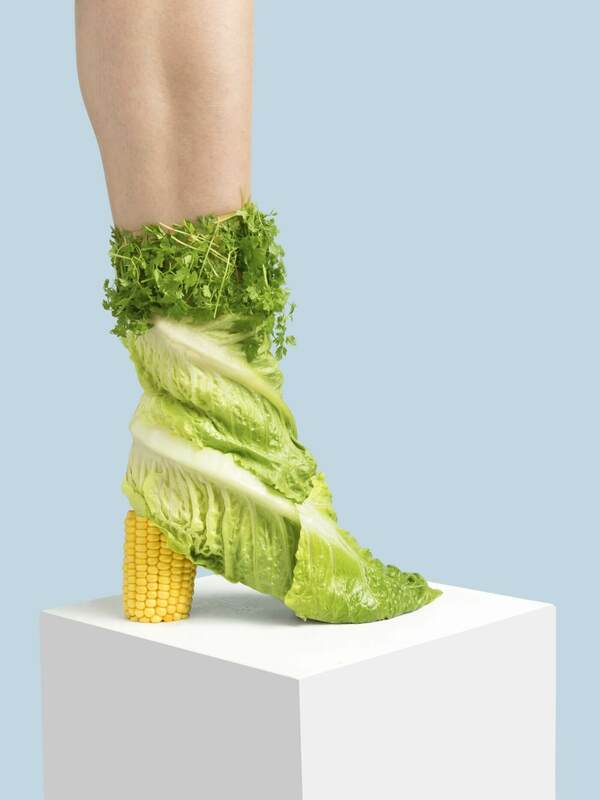 And if you decide you need a good diet, then go for the raw version: some cabbage, some parsley and a piece of corn instead of high heels. If you think we’ve gone completely off the rails with all these, you shall scroll down to see for yourself this new fashion trend. Well, calm down, it’s not really a trend, it’s more like a photographer’s wild imagination playing trick on us, mortals’ minds. 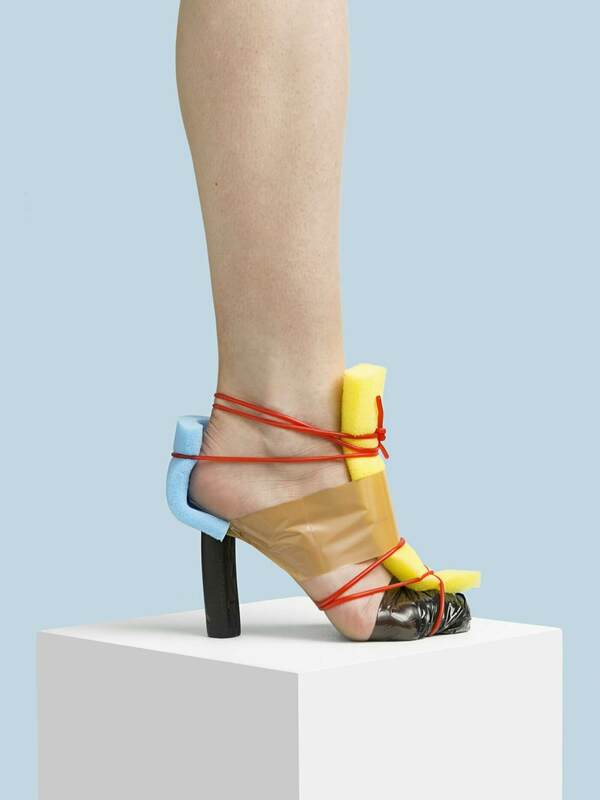 Nikolaj Beyer is his name and the madness of photographs you can see below are his masterpiece from a quirky series called “Everyday Shoes”. 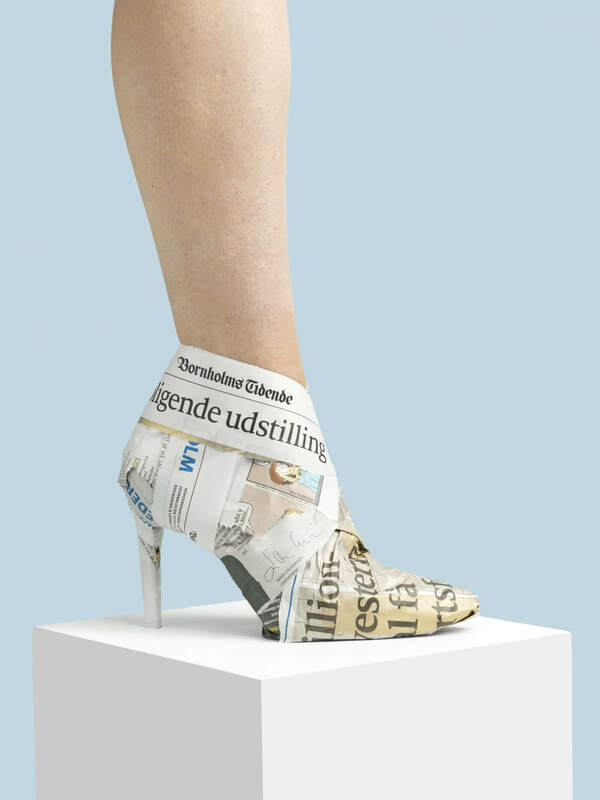 The Danish photographer is known for creating some insane footwear, using commonplace objects, such as chocolate bars, newspaper, vegetables, film rolls, raw meat and so on.